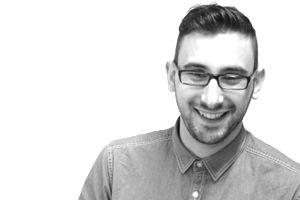 As Head of Design, Eliott leads an experienced team of graphic and interactive designers working across all of SHM’s projects. His passion for creativity and his fundamental belief that “if you can imagine it, it is do-able" make him an essential collaborator in all the work we do. With SHM’s usual high standards expected, Eliott always finds innovative and compelling ways to translate concepts and creative thinking into tailored tools and tangible pieces of communication that are illuminating, memorable and smart. He has a diverse set of design skills in both electronic and traditional media, designing apps, websites, interactive games, 3D animations and other digital tools, and developing and producing videos and films, as well as output documents, booklets and other communication deliverables, for SHM’s private- and public-sector clients. Eliott studied Business and Languages at Marne-la-Vallée University. He is a trained musician and a qualified teacher of classical percussions. A native French speaker, Eliott is also fluent in Italian, Spanish and English.